I am so fortunate to have formed some wonderful friendships with an amazing group of Virginia bloggers! And while we have come to know each other well and found lots of things we have in common, the one unifying interest and topic of conversation is what goes on in our classrooms. Every few months or so we like to come together to share what we love so this time around we choose our love of books. 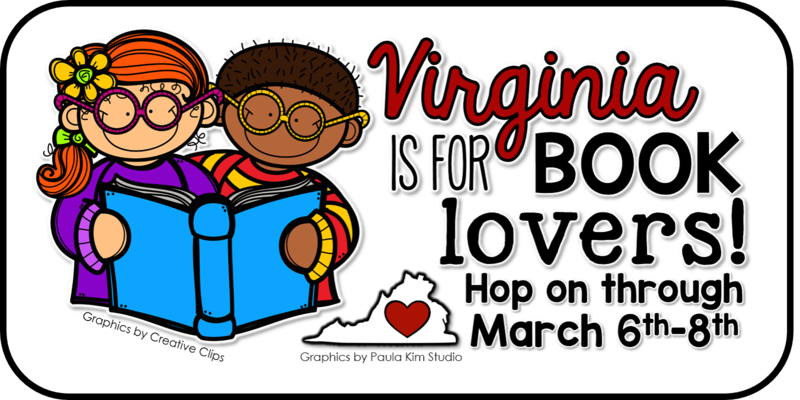 Each of us will share a book and resource that we LOVE to use in the classroom for this very special hop. 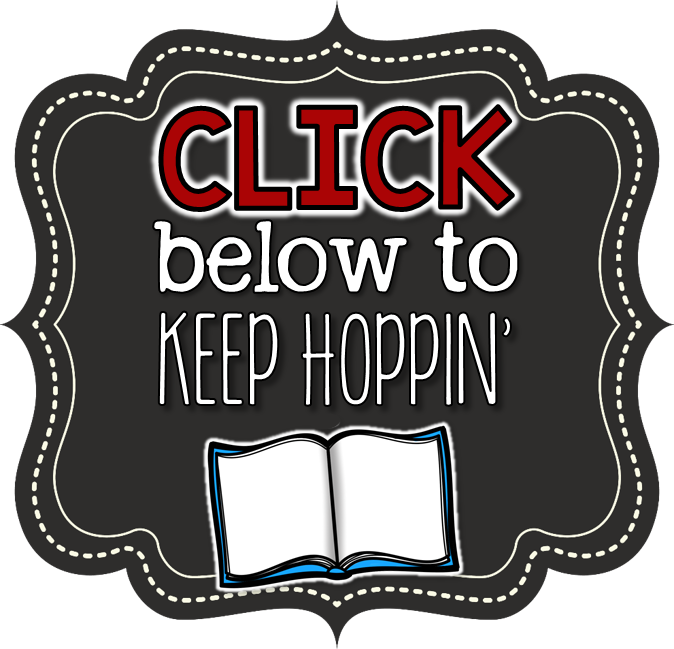 Not only that, but you'll find a book giveaway on each page of the hop, with a super huge giveaway at the end! The second book is a special treat because it was written by a teacher! As a matter of fact, the teacher who teaches just down the hall from me! 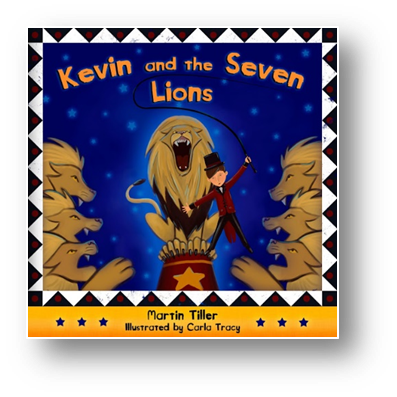 The book, Kevin and the Seven Lions, is the first book in the Kevin series written by Martin Tiller. I'm giving away a copy of both books in the Rafflecopter below! And the Kevin book will will be signed with a personal message from the author!! Scaredy squirrel is a neurotic, obsessive little creature after my own heart. He likes things just so and gets really nervous when things stray too far. I love this book for the classroom for so many reasons. It sure is nice for the kids to see a book character they can identify with. All kids have fears and some of them are irrational - just like Scaredy - but that doesn't make them any less real. Click on the picture to grab the pack. Kevin is a typical third grade boy, bright and capable, but VERY distracted! He would much rather daydream about lion taming and aliens than do multiplication facts. But his teacher has a solution - she channels Kevin's creativity into a notebook and he begins to write about all the things he imagines. 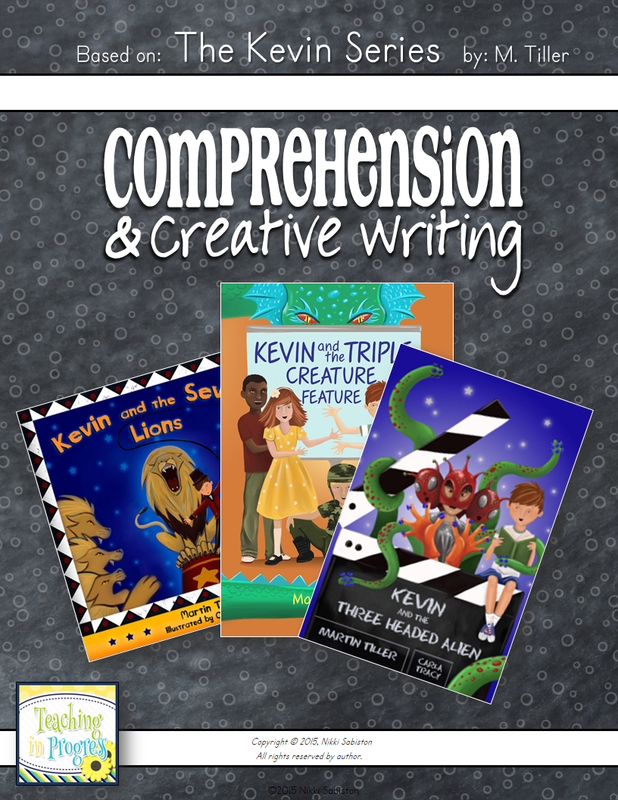 I created a small pack of activities to use with with this book so your students can channel their creativity, too:) Of course, I threw in some comprehension activities, too, so we can use a fun book to hit those skills! Scaredy Squirrel and Kevin and the Seven Lions. Also, one lucky winner will win ALL of the books (that's 20 wonderful books) in our hop! Imagine receiving 20 wonderful books for free on your doorstep and sharing them with your lovely students! Enter at the end of the hop for the chance to win! Recently, I moved to fourth grade and found that without 20 years of materials in my cabinets like I had in my first grade classroom, materials to teach the SOLs were often hard to find. So I set up a series of private FB groups just for VA teachers. They are a place for Virginia teachers to share ideas, resources, links, and ask questions of each other specifically related to teaching VA SOLs. There are 5 groups for different grade levels and the links are below. If you would like to join, just click on the join button and I will add you to the group! Please feel free to share this link with teachers in your schools. The more teachers involved, the more sharing there will be! It looks great! Writing down these titles to add to my library! Scaredy Squirrel is one of my absolute favorites! It's hilarious! I've never read Kevin and the Seven Lions...It's now on my list though! Love it that you're featuring a teacher author! I will have to check out his books. 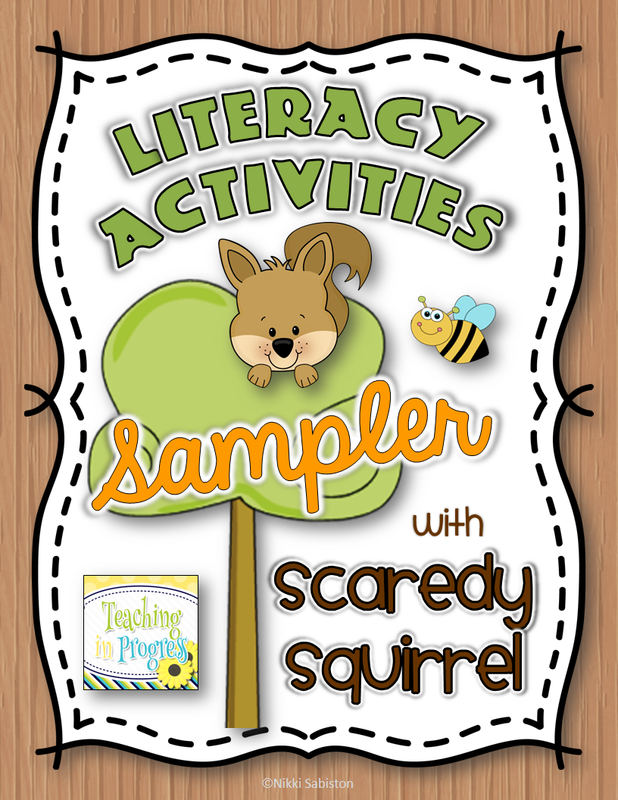 And Scaredy Squirrel is a favorite of mine, I love the nonfiction text features in the series. Your friend's books sound great! I will have to check them out. Thanks for the great activities! Thanks, Nikki. This is a great book for mentor writing. I love Scaredy Squirrel! How fun! Love that your friend is an author as well! I feel like I can totally relate to Scaredy Squirrel! It sounds like it would be wonderful mentor text for 5th grade writing because I can easily make connections! My students will surely relate to Kevin and the Seven Lions, so by adding these two books to my collection I think we'll have a very happy classroom! 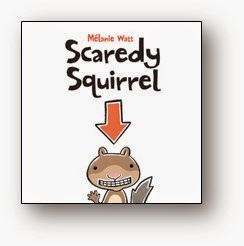 I'm new to the 1st grade scene, so I'm still working on finding fantastic read alouds and Scaredy Squirrel is one I've seen around but haven't tried, so I'm going to add this one to my list! Firsties are certainly full of worries.